Find the perfect outfit for your next summer event with EziBuy's extensive range of clothing for beach and BBQ days. We have a range of stylish beach dresses, denim shorts, and t-shirts to make you feel great when the mercury rises. 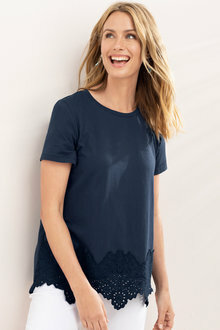 Freshen up your wardrobe for the warmer weather with casual and chic outfit ideas from our range of women's summer wear. We've got cute beach dresses, flowing skirts, and a collection of shorts in different styles and fabrics. 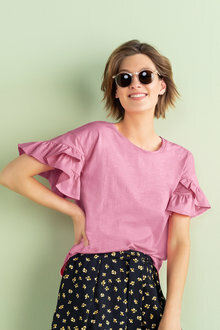 Warm weather calls for lighter fabrics and looser fits. Try linen for a classic look and breathable feel - the perfect summer fabric. Experiment with a pop of colour or crisp white to pull off an effortless summer look. 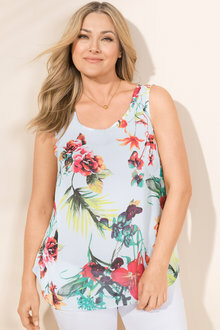 Shop the perfect outfits for warmer weather with our range of summer clothes ideal for beaches and BBQ events.